File under "removing support material". 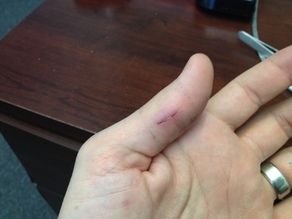 Eight stitches (two inside, six outside), a new personal record. Luckily my boss's wife is a doctor specializing in post-operative cosmetic surgery, thus the excellent stitching job.